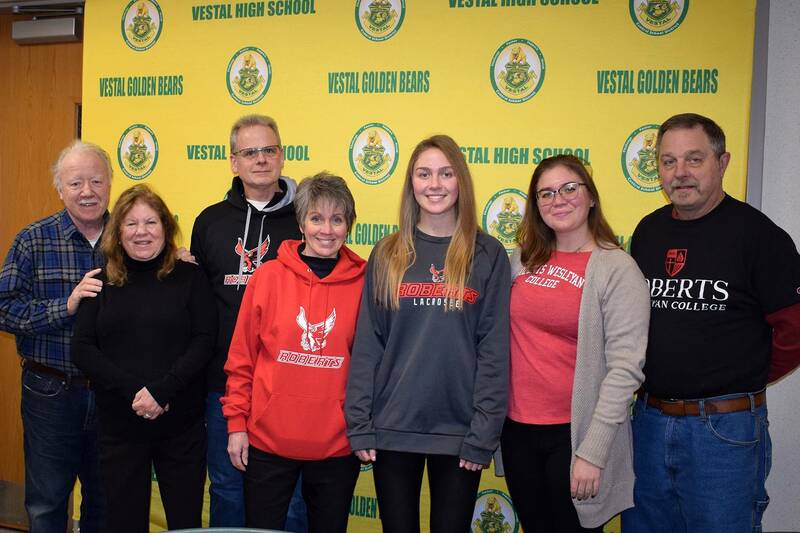 Caitlin Harding, the daughter of Linda and Tim Harding of Vestal, signed her National Letter of Intent to play lacrosse at Division II Roberts Wesleyan College. A STAC Academic All-Star, she helped her team score two Section IV championships over the past two years, as well as a 2017 Regional championship. 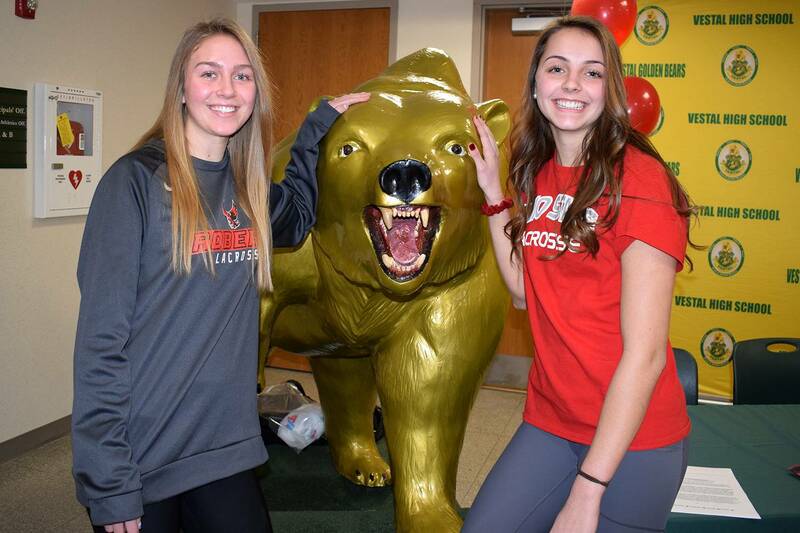 In addition to her three years on the Lady Golden Bears Lacrosse team, Caitlin played two years of Varsity Girls Soccer. 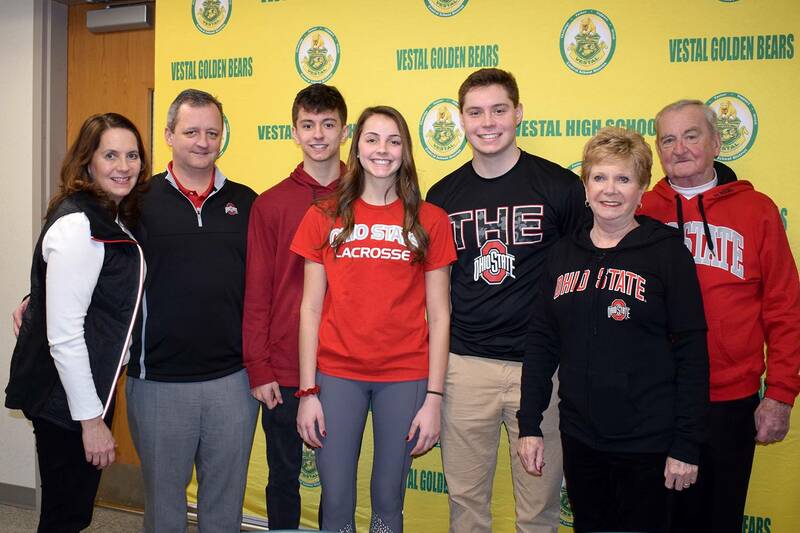 An Honor Roll student and member of the Green and Gold chapter of the National Honor Society, she has also earned Scholar Athlete status every season of her high school career. Out of school, Caitlin enjoys helping her community as a Special Olympics volunteer. When she joins the Roberts Wesleyan Redhawks in the Fall, Caitlin plans to major in Biochemistry. 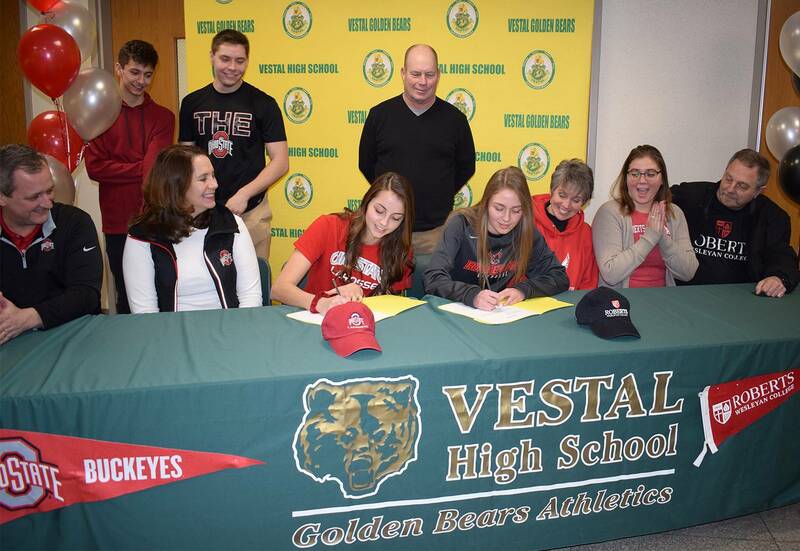 Sarah Harding, the daughter of Collen and Tom Harding of Vestal, accepted a scholarship with the Division I Ohio State Buckeyes. A Section IV All Star for three years, she was crowned Most Valuable Player her sophomore year in the Section IV Class C championship and was selected for the NY Upstate National Team. A five-year Varsity Ladies Lacrosse player, Sarah assisted her team to four Sectional championships and one NYS Final Four appearance. 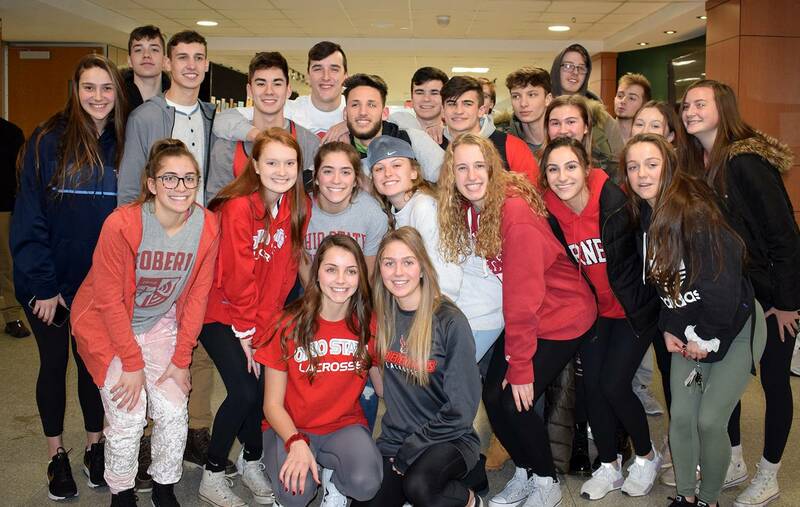 She completes a trifecta as a member of the Varsity Girls Basketball and Soccer teams at Vestal during her high school career, and helped the basketball team secure three Sectional championships. An Honor Roll student and Academic All-Star, Sarah also volunteers with the Special Olympics’ by assisting the running team. 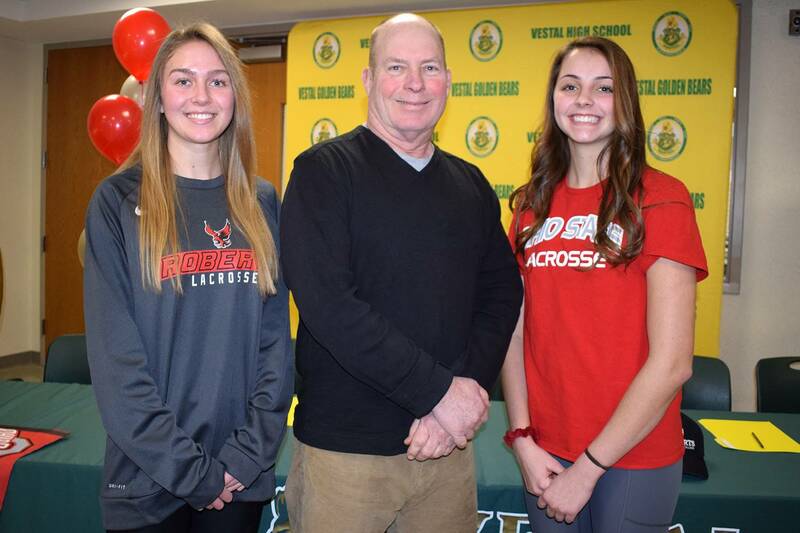 Congratulations to Caitlin and Sarah!